for our April Gallery Showcase on SATURDAY APRIL 22 from 3-5pm as we host newfound talent, JESSE GODSEY, for one of his very first art installations within the boutique! After learning to paint only a mere 3 months back from his good friend (and previous artist at TAOS), Molly Canova, he not only found his true calling but found a style of painting he describes as 'abstract pop art' that mixes bold imagery with pops of color + texture. 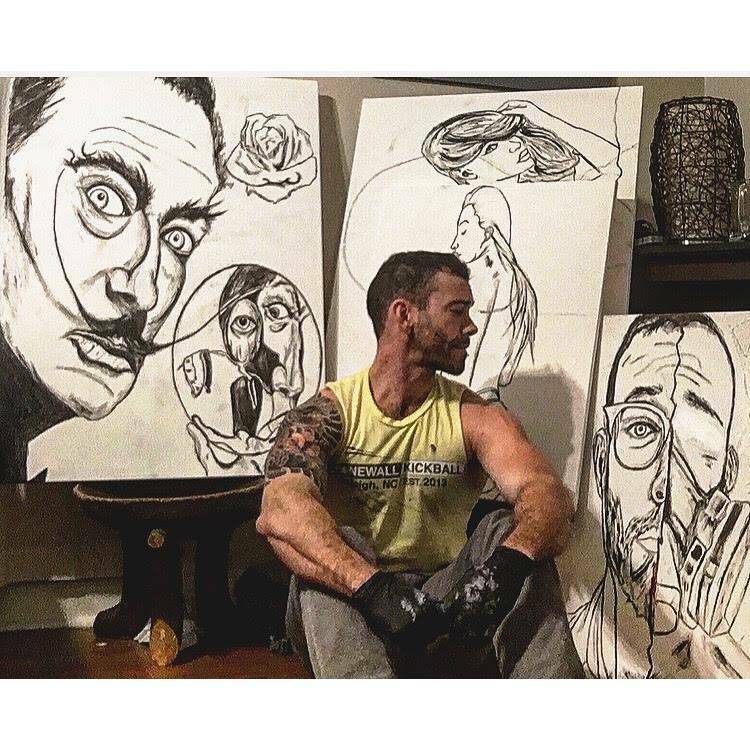 Using spray paint, spackle, water/alcohol mixtures with different varnish consistencies and a combination of soft/heavy body/liquid inks he creates tantalizing images of thoughts + ideas running through his head, a somewhat mind explosion on canvas. Come meet + greet with Jesse, peruse his works and join in on drinks + snacks at the store for your fun-filled Saturday afternoon.